EEOC goes from 2164 working employees (not including new hires or oversight personnel) to 107 during the shutdown. They will continue to function in a limited fashion, will accept new charges and federal sector appeals (although they will not investigate any charges during the shutdown), and will litigate lawsuits where continuances are not granted by the court. 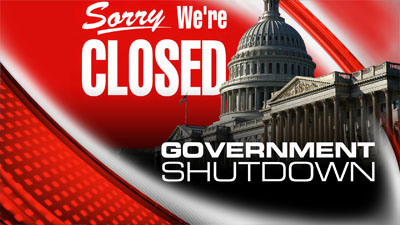 The Office of Federal Contract Compliance Programs (OFCCP) will also be impacted by the shutdown. It is important for federal contractors and subcontractors to know that there will be no communication from OFCCP staff during this time. In fact, the labor force at the OFCCP will be reduced from its current staffing level (including all of its new field hires) to 0 (see contingency plan for shut down below). Even the office of the Secretary of Labor will be reduced from 78 to 6 people. With all of the above in mind what does this mean entail for Human Capital specialists? First any and all OFCCP audits will be immediately halted, as will all OFCCP communication. This however does not absolve you from the responsibilities entrusted to you by your employer(s). During the shutdown it is imperative that you continue to keep all appropriate records. Once a budget agreement is finally reached all D.O.L., EEOC, and OFCCP offices and employees will take up where they left off and all operations will resume normally. So consider this a timely intermission, not a cessation of activities.